quality equipment — and this is what they have to say. We are driven to continue to enhance and expand our offering, providing the custom solutions and dedicated support our customers have come to expect. Honored to serve a variety of industries worldwide, our equipment is proudly American made. From professional sports, military bases and universities to health clubs, hospitality and more — we apply rigorous manufacturing quality standards, an endless pursuit of innovation, and a commitment to customer satisfaction. We couldn't be more pleased with the equipment both from a performance standpoint as well as look. I Played in the NFL for 15 years and am very well versed in what good equipment is and how it should feel. I workout on the equipment as well and am confident giving my endorsement towards ProMaxima. Everything is as we ordered and is what we expected. The service has been exceptional as well. ContraVest has been a loyal Promaxima customer since 2000.
maxima is a very easy choice for us. happier we made the switch. I just wanted to drop a quick note to let you know how happy and satisfied I am with my new purchase. 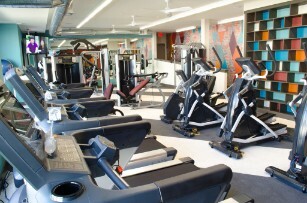 I recently purchased a large multi gym set and some other cardio equipment for my outdated fitness center. Your company’s representatives were quite responsive in coming out, surveying my fitness area, and knowing exactly what would be most beneficial for my residents. Chad and Daniella especially were professional, knowledgeable, friendly and a pleasure to work with to the very end. I wanted to mention that the installers also were very professional, courteous and very efficient with the installation.Since the new equipment has been installed, I have noticed a huge increase of residents utilizing and enjoying this amenity which in turn helps contribute to resident retention.I will highly recommend Pro Maxima to any and all of my colleagues in the apartment industry. company in a professional and courteous manner. Our project at Union was very customized and ProMaxima answered the call with a great finished product. 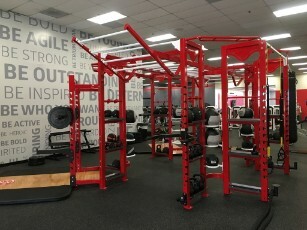 Every detail of our room was custom from the rack design and powerblock storage to the GHD/Reverse Hyper Combo Machine. The Project was extensive as we went from having only 9 platforms in our room to 26, so we had to maximize every inch of our space. 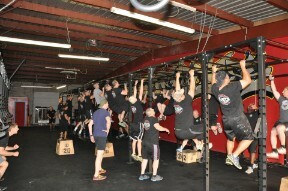 Our racks were designed where a group of 3-5 athletes never have to leave his/her platform area to complete a workout. Our room is state of the art and rivals any weight room in the country for a great price! Any issue we have had has been resolved immediately and the customer service has been 1st class. I would definitely recommend ProMaxima!